DLK on Avenue is proud to offer a safe and effective solution for cystic acne. Blue light laser is an effective non-invasive treatment for reducing acne and oil production and eliminating acne bacteria in the skin. This state-of-the-art treatment utilizes a light source called blue light laser that delivers a painless light of blue colour that greatly improves and helps to prevent acne. Blue light laser is not harmful, and does not damage the skin itself or pose any risk. The treatment area is illuminated with the blue light laser source and treatments usually last about 10 to 20 minutes. During this time protective eyewear is worn. This procedure is non-invasive and pain-free, and skin can be treated if tanned. Treatment is repeated every 72 hours as directed by Dr. Kellett during consultation and a series of treatments is usually recommended for maximum results. The blue light laser system consists of a high intensity, narrow-band Blue Light. This pain-free light is safe and uses no ultra-violet (UV) light. When Blue Light is used to treat acne, p. acnes acne-causing bacteria is destroyed and overactive oil glands are suppressed. The blue-violet light penetrates just deep enough into the tissue to reach the acne target. It only affects the P. acnes bacteria, not the normal tissue. Even though there is no evidence of complications, treatments should not be performed during pregnancy. Prior to commencing treatment the face must be cleansed with soap and water and free of any oil. Make-up cannot be worn during the treatment but may be re-applied immediately after the treatment. 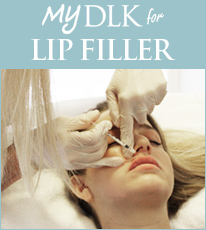 DLK’s blue light laser treatment is a very safe procedure with no risks or side effects. There is no downtime, or risk of irritation, redness, peeling, or scarring. Treated areas should be protected by sunblock and avoidance of the sun is strongly recommended. Active acne can improve dramatically with the combined usage of medical-grade skincare. It takes approximately 3-6 treatments to see maximum results.